Hello! I'm Takeshi. I work for one of the top Japanese travel agencies. I grew up in Jiyugaoka, one of the most fashionable places in Tokyo. This means I understand the luxury side of the lifestyle of Japanese people. 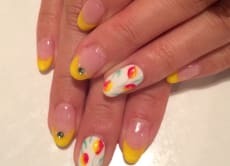 If you want to know the latest trends in foods and fashion and find exclusive salons for hairstyle and nails, please ask me anything that you are interested in. I can assist you as a private guide!